The Nike+ SportWatch GPS offers you a whole new running experience. The built-in GPS receiver works to deliver highly accurate pace or speed and distance data while in-run, so you’re always informed about the specifics of your workout. As well as providing you with precise data, the Nike+ SportWatch GPS adds personalisation and motivational features to your running experience, including audible sounds, challenges, run reminders and more, to keep your training regimen fun and easy to customise. 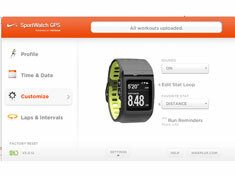 Simple to set up, the Nike+ SportWatch GPS connects directly via your PC or Mac to www.nikeplus.com. As runners, we know you feel every step you’ve taken, every mile covered. That’s why we want to make sure your Nike+ SportWatch does the same, tracking your movements precisely so you get the full feedback on your run. The Nike+ SportWatch features GPS by TomTom, world’s leading provider of location and navigation products and services, to give you accurate data. It’s easy to start tracking your run instantly with the SportWatch. Simply strap it on and start getting information straight away, indoors or out — even if the GPS signal gets interrupted. 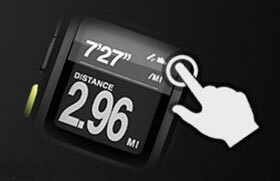 Simply tap the interface to activate the backlight and to mark laps during your run. 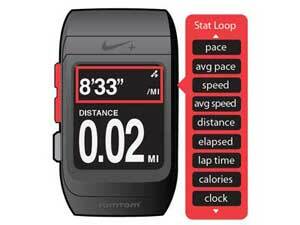 The Nike+ SportWatch GPS tracks a number of different variables about your run. You’ll be able to get data on your time, the distance run, your pace or speed, and calories burned. Use the stopwatch to time laps. The Nike+ SportWatch GPS is also compatible with the Polar WearLink+ heart rate monitor (heart rate monitor available separately). 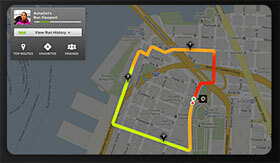 Upload your GPS data to nikeplus.com, the world’s largest online running community, to share your run. Not only will you be able to see data on your watch as you move – after your run you’ll be able to view your entire mapped route on Nikeplus.com. Explore the entire distance you’ve run, with full pace or speed data, and changes in elevation. The Nike+ SportWatch GPS is compatible with the Polar Wearlink+ Transmitter (available separately). Polar WearLink+ transmitter Nike+ picks up your heart’s signals and transfers that data into the Nike+ system. The soft textile chest strap seamlessly adapts to your body shape, bringing full freedom of movement to your training. With its hook mechanism, transmitter is just as quick to put on as it is to take off. Want to know how you are doing in every way? Set the watch to automatically loop through each of the upper metrics (distance, time, bpm, etc). Keeping track of your progress couldn’t be easier with the Nike+ SportWatch GPS. By uploading your run data to Nikeplus.com you’ll be able to view your run history (up to 50 runs) and personal records, allowing you to see how far you’ve come, and plan upcoming workouts. Everyone likes to be reminded when they’re doing well. That’s why the you’ll be notified when you run a personal record and receive an ‘Attaboy’, a great way to reward yourself for a good workout, and motivation to push yourself harder next time. Sometimes we all need a bit of a push to get out of the door. With the automatic Run Reminders, you’ll receive a notification when a run has not been logged in the past five days. You can also set an alarm to remind you to run, or just to wake up in the morning. The Nike+ SportWatch GPS allows you to connect to Nikeplus.com and upload all of your run data. Once you’re there it’s easy to find new routes for your runs, set personal goals, and access training programs to add structure to your workout. The Nike+ Connect software also allows you to customize your settings. By setting up a profile on Nikeplus.com you’ll be joining the world’s largest running club. As a member you’ll be able to participate in challenges and connect with friends, all to help make sure your workouts stay fresh and enjoyable. Find new routes to conquer and new roads to pound. With Nikeplus.com you’ll be able to view routes that your friends have run or shared, so you can arrange shared workouts or try to beat their best times. Keep friends informed on your progress, or let everyone know about beating your personal best – with the Nike+ SportWatch it’s easy to share your run activity on Facebook or Twitter. New to the area? Just visiting but want to keep up with your workout schedule? Get insider knowledge with Nikeplus.com – you’ll be able to find the most popular areas to run near you, and start planning your own route. 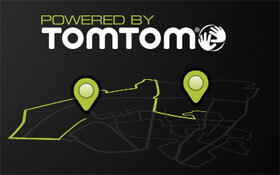 Powered by TomTom GPS to get the most accurate pace or speed and distance records possible to improve your training. The Nike+ SportWatch GPS is as simple to use as you want it to be. Strap it to your wrist, go outside, and run – the watch will instantly start recording data that you can personalise when you need to. The Nike+ SportWatch GPS is easy and intuitive to use. Simply tap the screen to mark laps and activate the backlight during your run. Invert the screen to display black text on a white background, or white text on a black background and change the date and time directly on the watch. It’s even easy to personalise the data that you want to see during your run, so you get instant feedback rather than waiting until after your run has finished. USB contacts are built into the watch strap—just plug the watch directly into a USB port on your computer to upload run data and recharge the battery. Say no to complicated and cluttering wires. The Nike+ SportWatch GPS can be directly connected straight to your PC or Mac. USB contacts are built into the watch strap – just plug the watch directly into a USB port on your computer to upload run data and recharge the battery. NikeFuel counts all the activities of your athletic life. Running, walking, basketball. Nike+ devices measure your moves and turn them into NikeFuel. And since NikeFuel is calculated the same way for everyone, you can compare and compete with anyone. See all your activity in rich graphs and charts. Spot trends, get insights and discover things about yourself you never knew before. 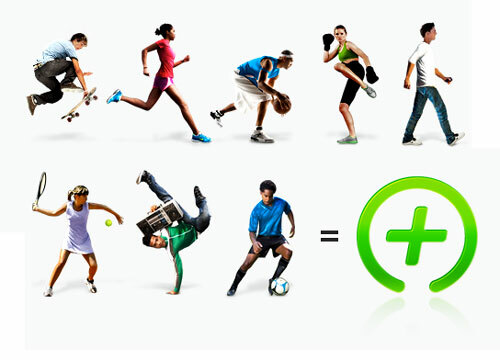 NikeFuel is calculated the same way for everyone no matter your age, gender or sport of choice. Share with friends and see how you stack up. The more you move, the more NikeFuel you earn. Do more and unlock awards, trophies and surprises. Share your accomplishments with friends – and other Nike+ members. 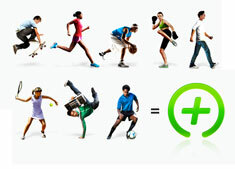 Get cheers and since NikeFuel is a universal metric, challenge them to match it. As part of a continuous improvement program and reflection of our determination to always provide the best experience for runners, we will periodically make updates available for the watch. We take feedback directly from the community and aim to enhance user’s enjoyment, now and in the future. It’s easy to keep your Nike+ SportWatch GPS and supporting Nike+ Connect software up-to-date. Each time you plug your watch strap into a USB port on your computer, Nike+ Connect will check for new firmware (updates for your watch) and new software (updates to Nike+ Connect).